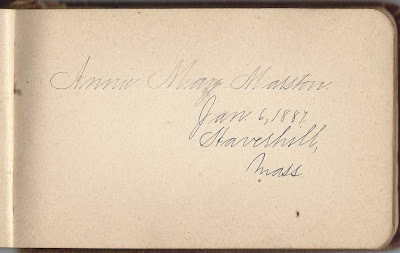 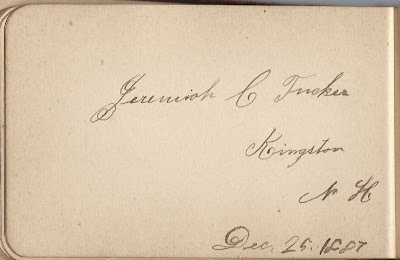 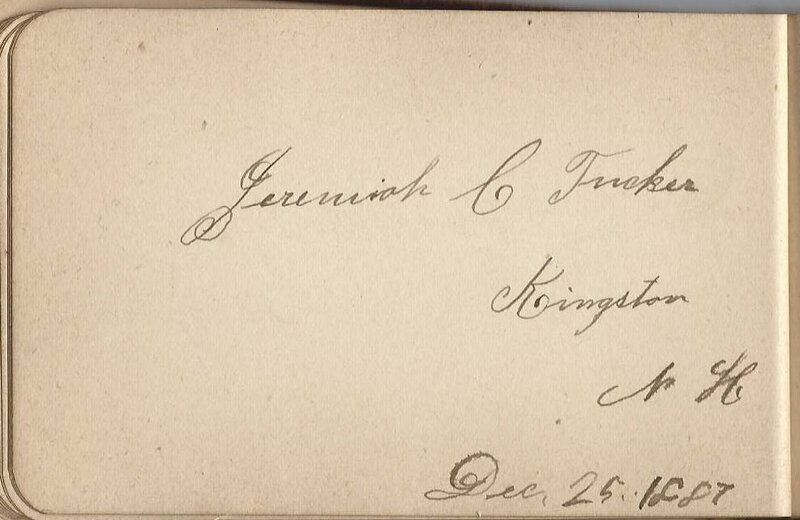 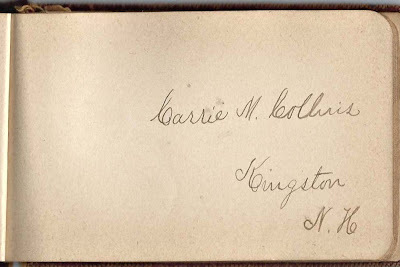 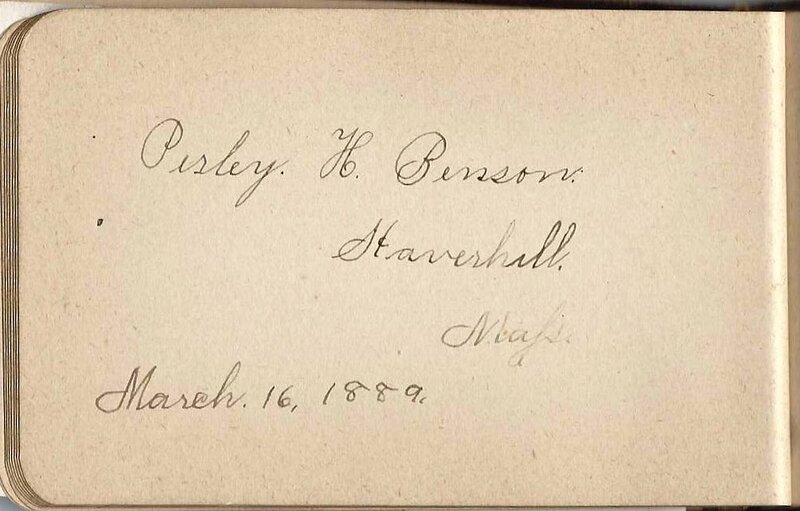 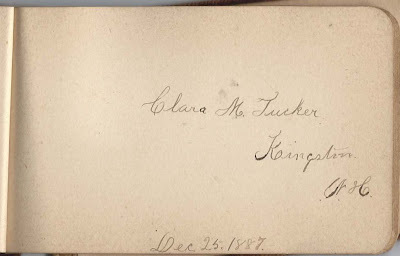 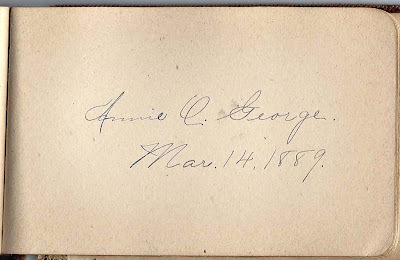 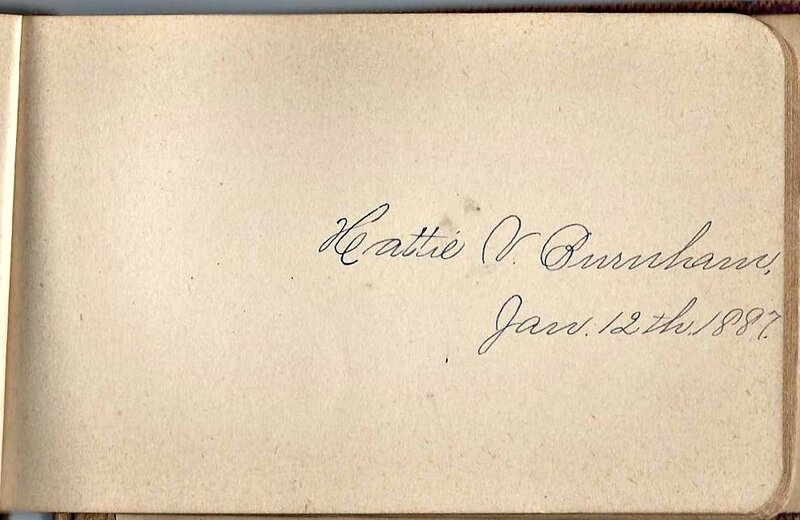 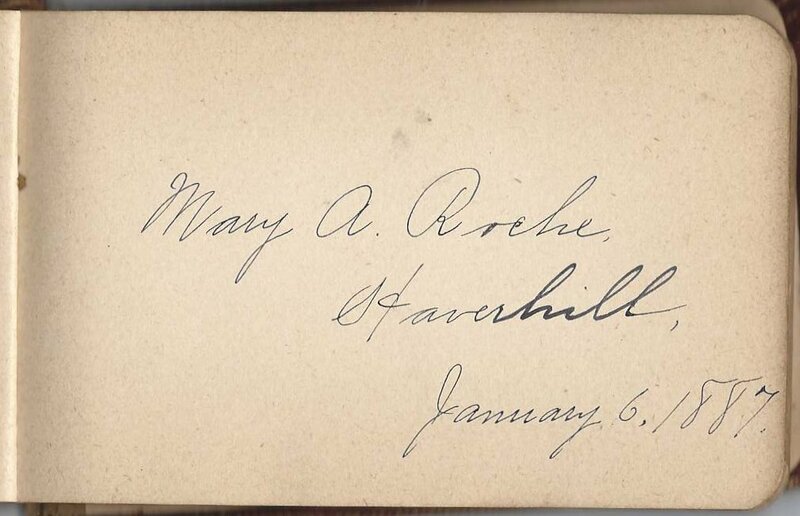 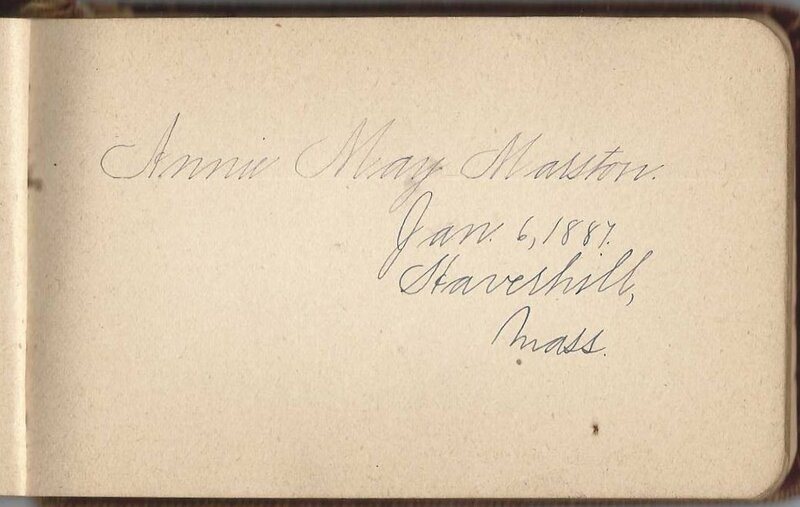 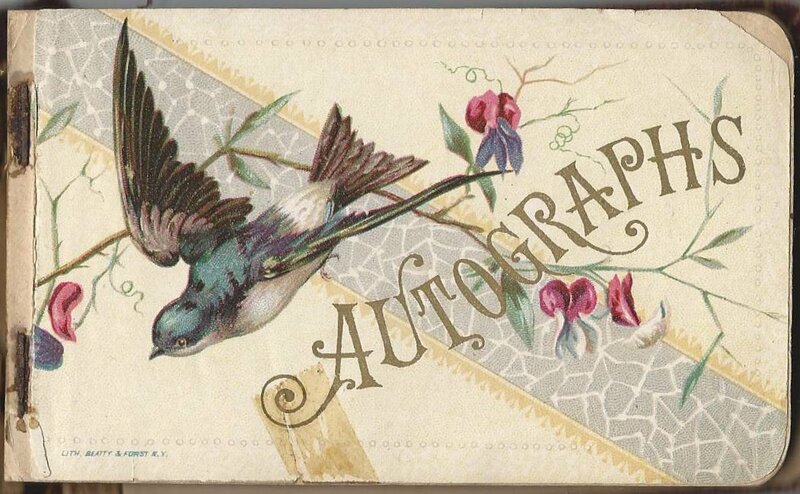 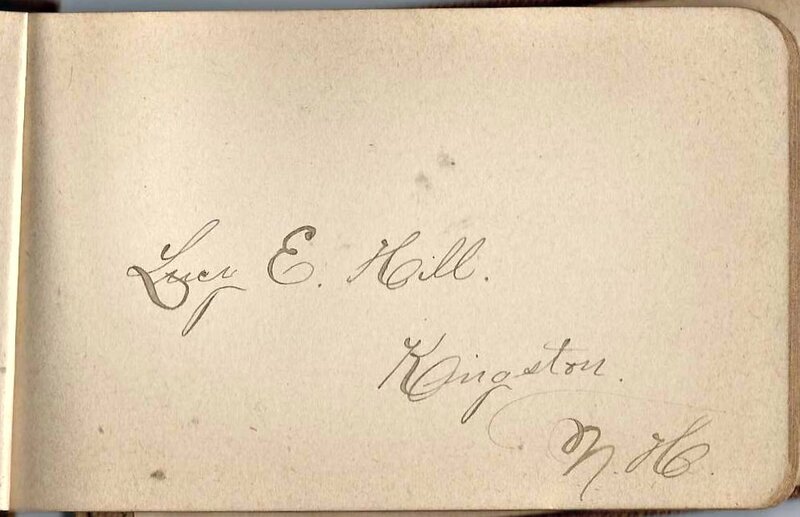 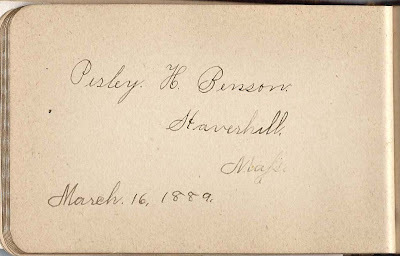 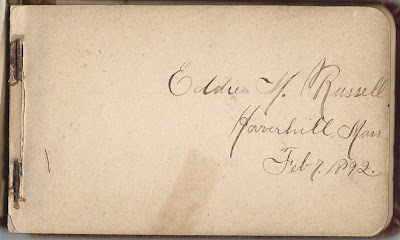 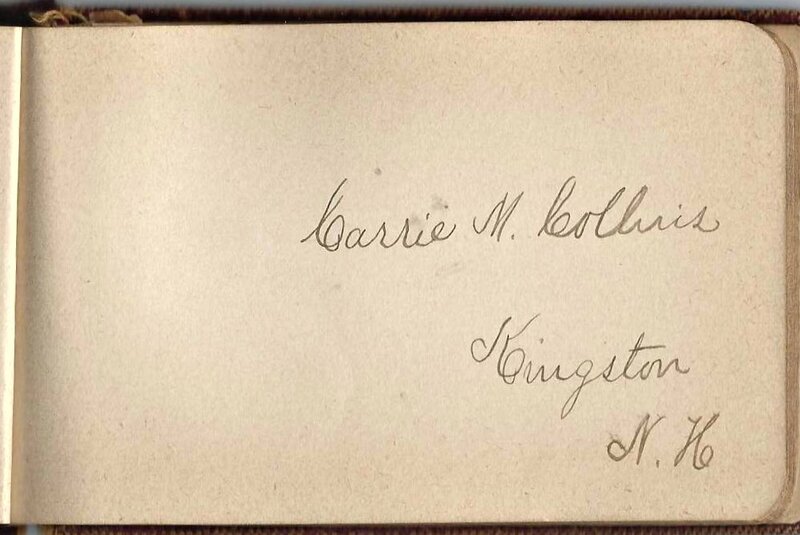 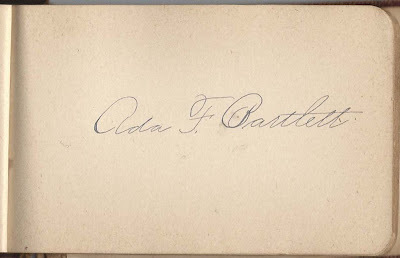 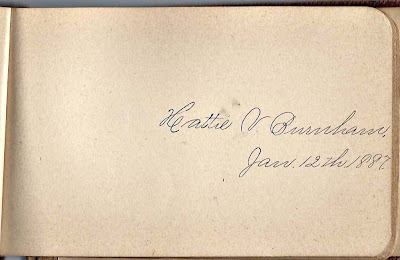 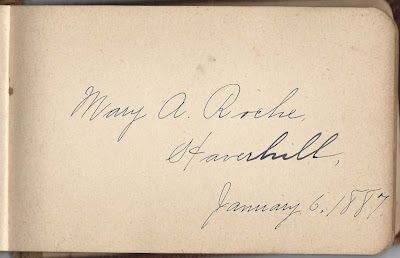 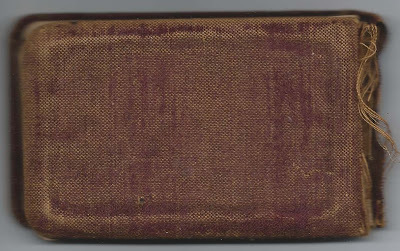 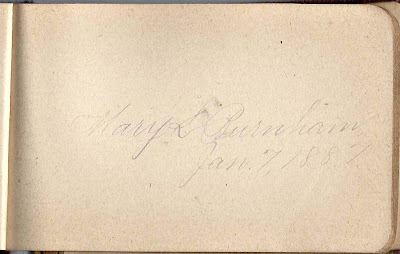 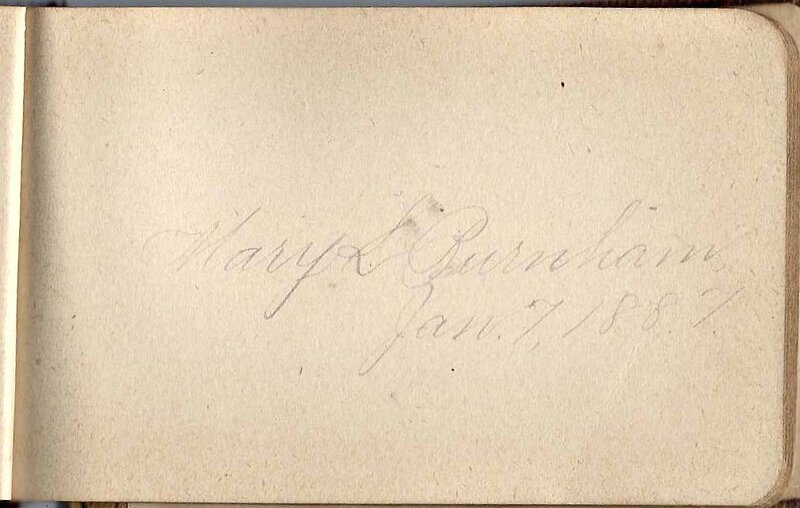 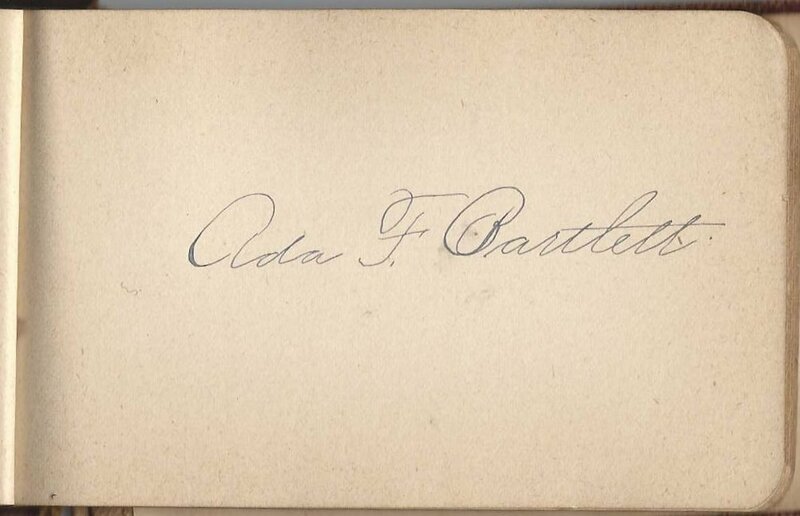 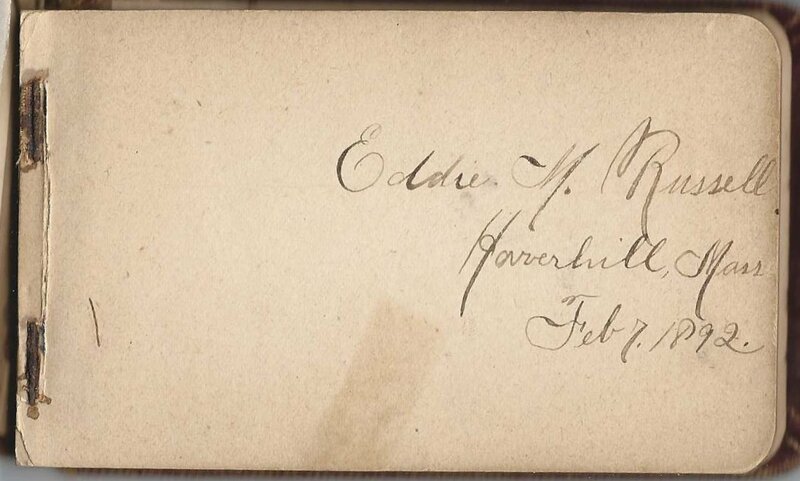 1880s/1890s autograph album, approximately 5" x 3-1/4", that contains 13 autographs of signers from Haverhill, Massachusetts, and Kingston, New Hampshire. 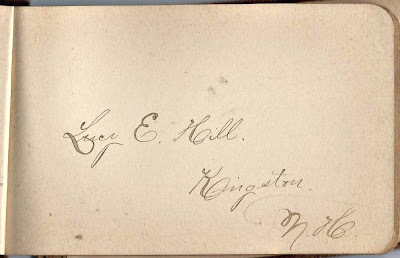 See an alphabetical list of the signers at the end of this post. 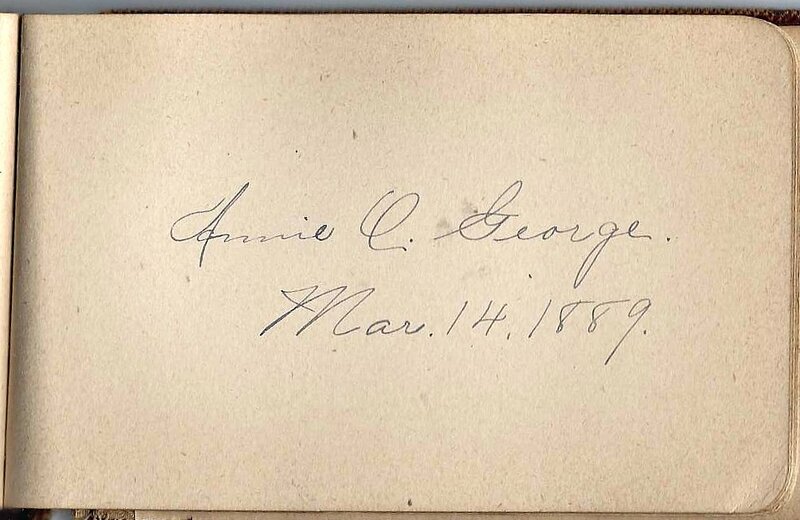 If the album had at one time contained a page inscribed to the owner or signed by the owner, it's missing. 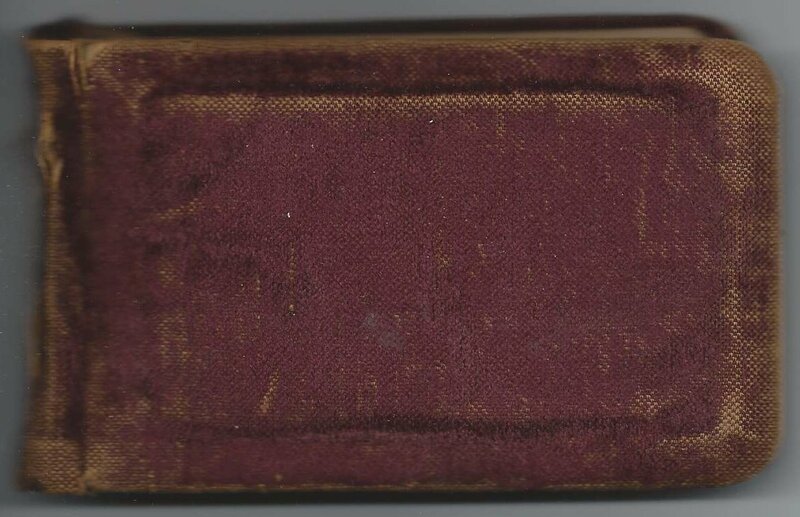 The title page is present but not attached. The spine is hanging by threads. 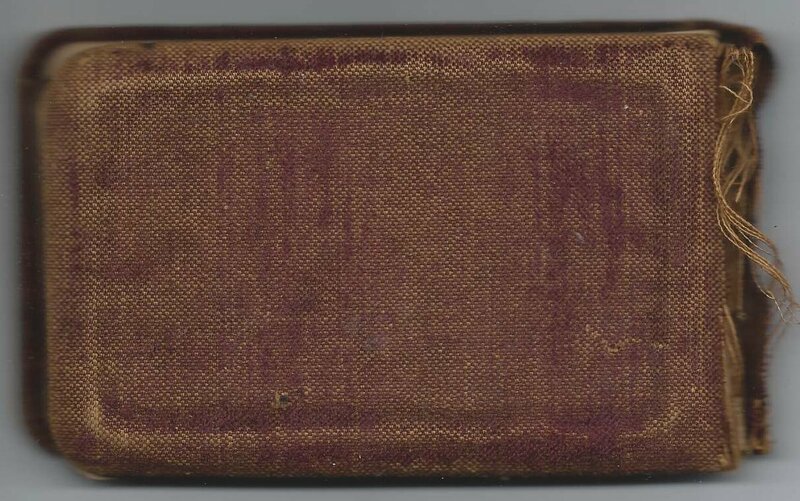 The interior, though, is in good shape.